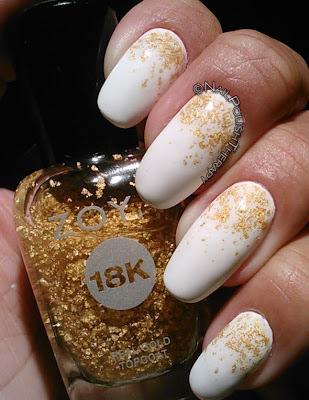 Zoya 18K Gold Gilty , FINALLY!! It's here and I couldn't be more excited to share this review with you. 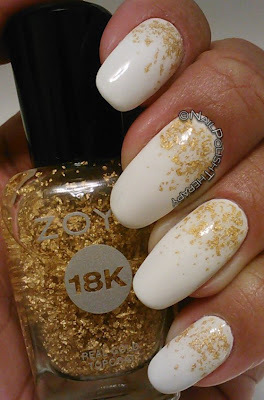 I pre-ordered the Zoya 18K gold topcoat Gilty back in September. I waited patiently and the box arrived this past Saturday none too soon. 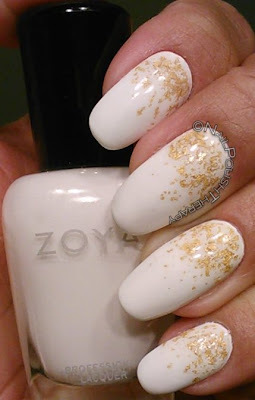 So let me first say that although I like love Zoya products, I chose to buy this gold topcoat because of the care that Zoya took in presentation. They also had people hand pouring the gold into the bottles. 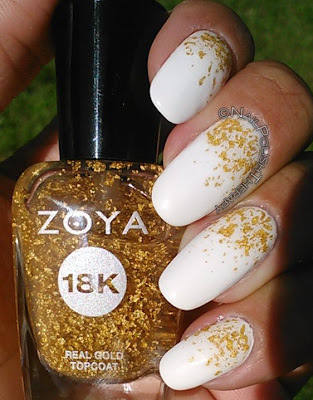 Included with the 18K topcoat were Zoya Purity and Raven. All three in the black box for $30!? Can't beat it. So I decided that I would go with Zoya over Sephora and OPI's gold topcoat. Instead of putting it over the entire nail I decided on a gradient. I got SO excited that I even hooked up my toes with some gold too! I can only say one thing negative about this set and that is with the color Purity (white). The formula became thick pretty quickly during application. It might have just been my bottle. Raven however was beautiful. You can't see it in the picture but it has the slightest hint of silver shimmer, so faint, it's just there for effect. I call it a Tuxedo black because it's so formal.